D-Wave out of Canada has just sold the first of its commercial quantum computers and they sold it to Lockheed-Martin. However, it wasn't as easy as your average sale. 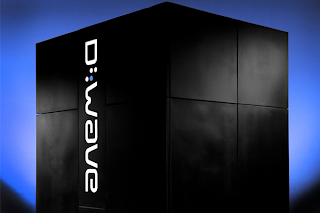 Despite the fact that D-Wave managed to make the sale, the company had to do it despite a debate over whether it truly was a quantum computer. Back in February 2007 D-Wave demonstrated a machine that could solve problems regular computers are incapable of solving, in principle that is. The reason it is only in principle is because the tests run on the computer were not impossible on a regular computer. This created a fair bit of doubt among some that the chip was actually performing quantum-mechanical computations. The computer works differently than the regular "gate model" of quantum computing where a series of quantum bits can be encoded as either 0, 1 or both simultaneously. D-Wave's machine uses something researchers are calling "adiabatic quantum computing" or "quantum annealing". However, some people disagree that this process is actually, truly quantum computing. But despite all this, Lockheed-Martin wasn't turned away. The company just recently signed a deal with D-Wave to purchase a quantum computer for an estimated $10 million. This agreement will span multiple years and include system maintenance as well as various other professional services. As of right now, it is unclear what Lockheed-Martin plans on doing with the computer. However, according to D-Wave's President and CEO Vern Brownell, "Our combined strength will provide capacity for innovation needed to tackle important unresolved computational problems of today and tomorrow. Our relationship will allow us to significantly advance the potential of quantum computing." This is the second biggest deal the company has signed in the past couple of years with the biggest being a tie-up with Google in order to improve image search algorithms. Despite the fact that D-Wave's technology has not been 100% proven, Lockheed-Martin has still seen it as worthy of a $10 million investment. If anything, it gives them first access to this kind of technology.